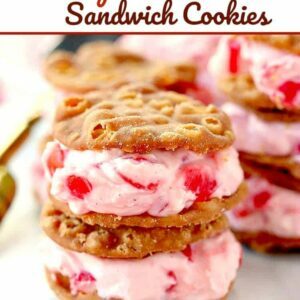 Try these Cherry Cannoli Sandwich Cookies for an easy dessert recipe for Valentine’s Day! 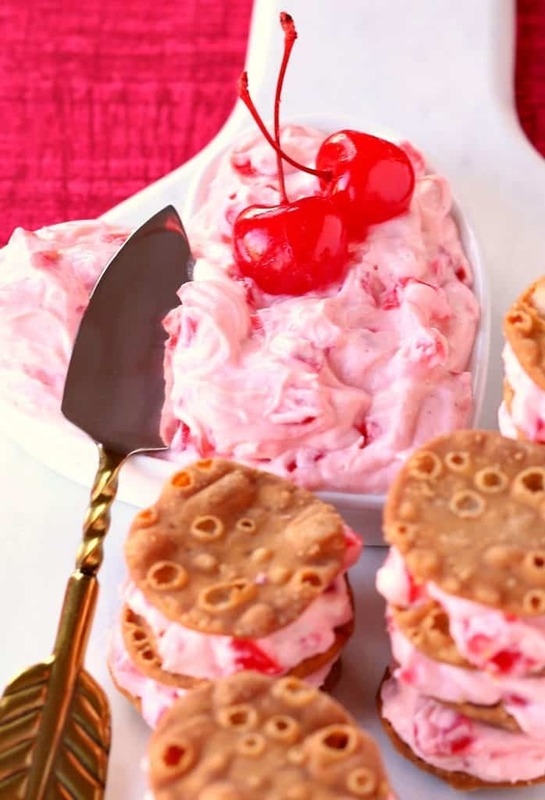 We just love these fruity, creamy, no bake desserts! If you’re looking for more easy dessert recipes, try this Banana Bourbon Poke Cake or this Easy Apple Crisp! Valentine’s Day isn’t a huge holiday at our house. It’s not that we aren’t into being romantic or going out to dinner, it’s just that life gets busy and we can’t always make it out to dinner on the actual day. 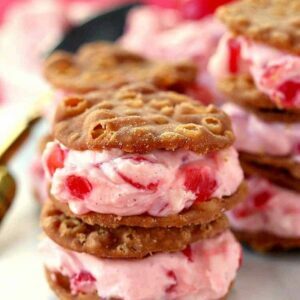 We end up making dinner at home with the kids, like our Ultimate Chicken Marsala, and an easy dessert recipe like these Cherry Cannoli Sandwich Cookies. When you’ve been married a long time I guess that’s what Valentine’s Day is to us, celebrating our whole family with paper cards from the kids and a nice dinner. A nice dinner that definitely involves champagne and some sort of treat for dessert. 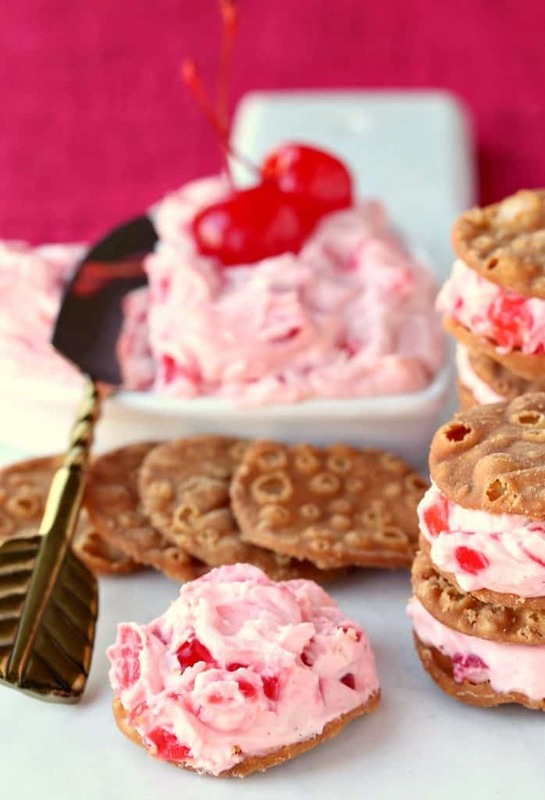 Can You Make This Dessert Recipe Ahead Of Time? Yes, you can make the filling for these cannoli cookies ahead of time and stash it in the fridge. No, you can’t fill them ahead of time! The filling will soak into the crispy cannoli shell and make it soggy and we wouldn’t want your Valentine going all crazy on you for a not-so-great-dessert. 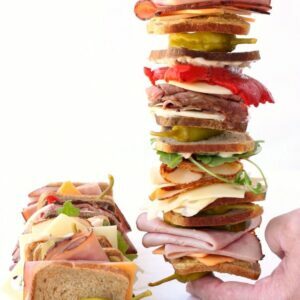 So have your filling ready and then quickly make your sandwiches right after dinner. You’ll be a rockstar when you place these on the table, even if it took you a couple of minutes in the kitchen. Or you can try another no-bake favorite dessert recipe of ours, these Fireball Cheesecake Shots! 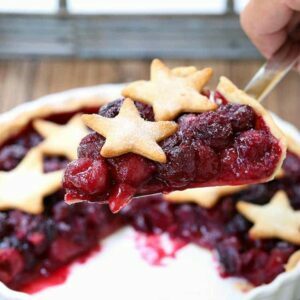 These dessert shots are SO much fun top break out at any holiday! 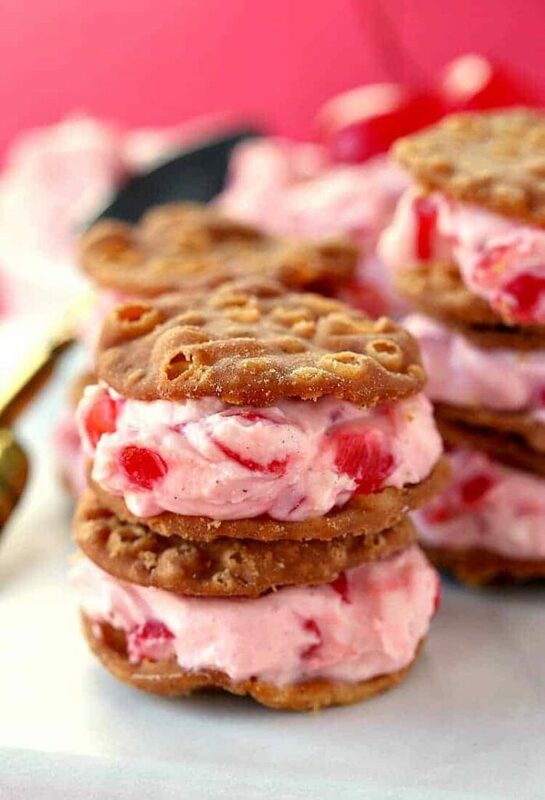 How Do You Make This Easy Dessert Recipe? We don’t say “easy” lightly. 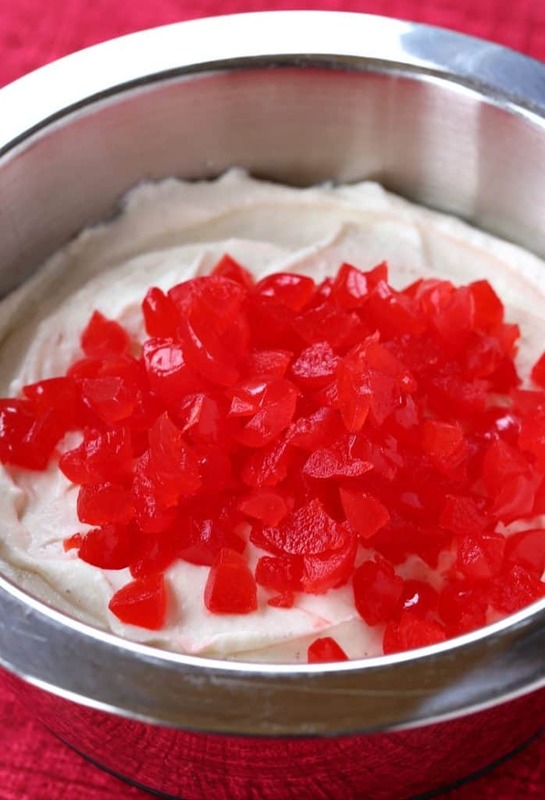 This is ll you need to do…mix the cream cheese, ricotta cheese, vanilla, cinnamon, cream and maraschino cherries together in a bowl. Now either stash that mixture in the fridge for later or start layering the filling between cannoli chips to make these cannoli sandwiches. It’s that easy, and that good. 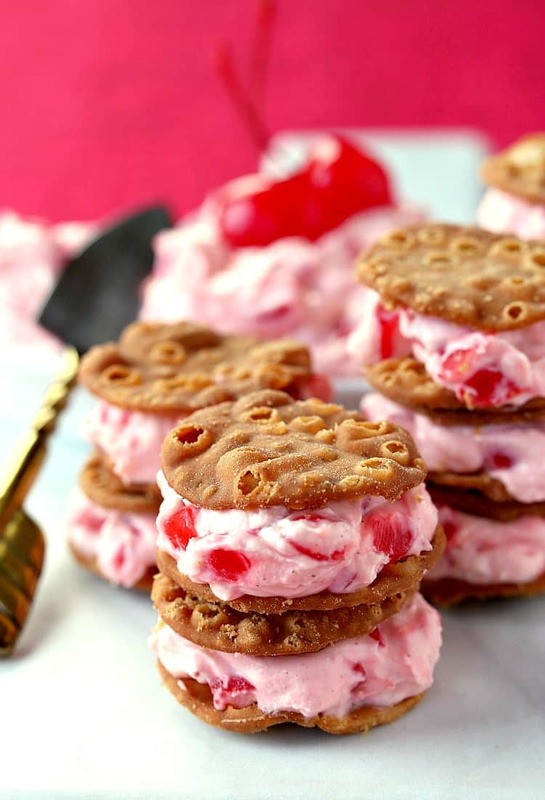 These Cherry Cannoli Sandwich Cookies also go perfectly with a glass or two of champagne! This is a Valentine’s Day dessert after all. Can You Substitute The Flavors In The Filling? 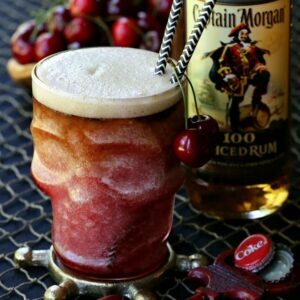 Maybe you don’t like cherries? 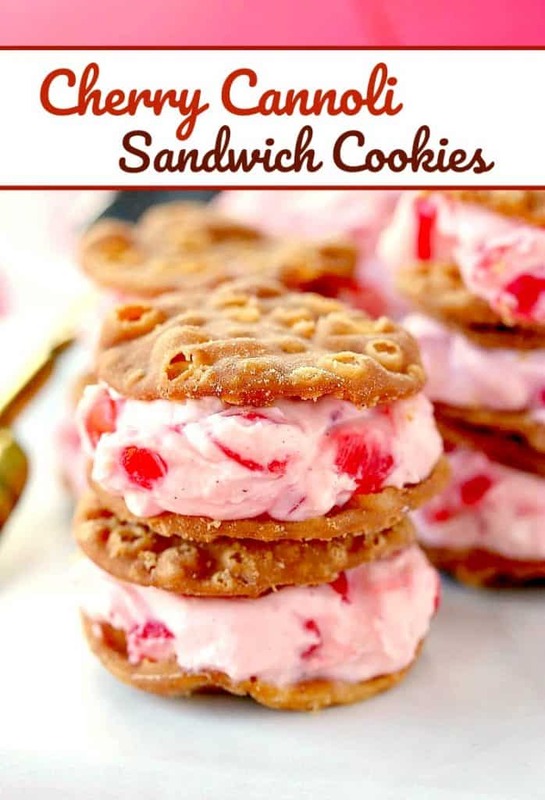 No worries, you can make this easy dessert recipe with chopped strawberries or raspberries too! If you don’t care about the color being red for Valentine’s Day you can also use chocolate chips, chopped pistachios, coconut or lemon curd. You should also check out our list Valentine’s Day dinner recipes that can help you look like a cooking genius. Some are slow cooker recipes, some you can make ahead and some you can get ready in under an hour. Trust me, you’re going to want to check it out! Mix the ricotta cheese, cream cheese, vanilla extract and cinnamon in a large bowl with a mixer until smooth. Add the cream and mix again until blended. Stir in the chopped cherries, cover with plastic wrap and chill in the refrigerator for at least an hour or overnight. Spoon the filling on a cannoli chip then top with a second chip.